First time buyers are still buying! 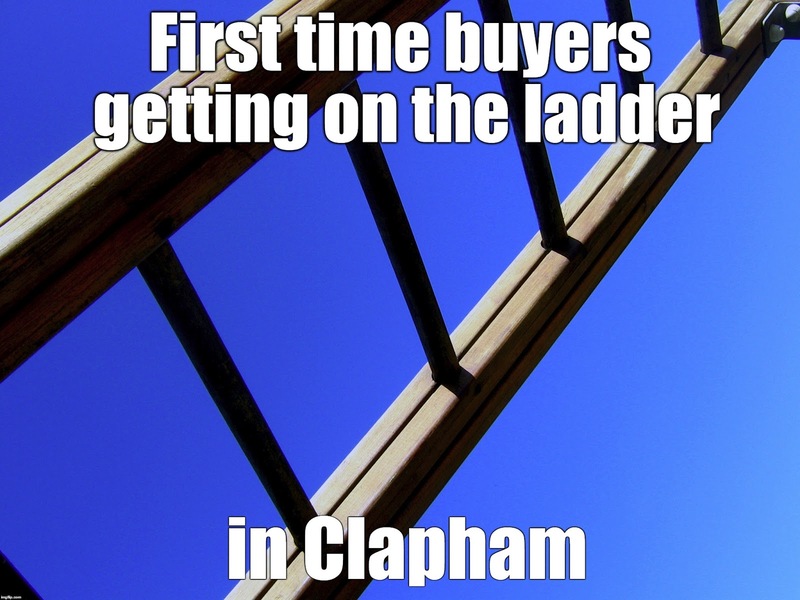 What does this mean for the Clapham Property Market in the long run? Excellent news - the first time buyer market is staying strong, and growing ever more. The National Association of Estate Agents has reported that first time buyers accounted for nearly a third (32%) of all purchases in October - the highest since they started logging this data back in the year 2000. In a nutshell, it's great news! The continued demand from first time buyers will mean that properties at the lower end of the spectrum (starter homes - one and two bedroom flats, anything up to £500k) - will continue to rise in value sharply. A good proportion of these will be former starter homes belonging to now "accidental landlords" (those that couldn't sell at the time so reluctantly held) or couples who perhaps were able to trade up using the old "let to buy" system (letting out their flat whilst remortgaging to release equity for a deposit for the next property). A lot of these non-professional landlords will be selling up due to tax changes, increased regulation and increasing costs in the PRS, making the money made every month (probably not more than a few hundred pounds, dwindling to nothing after a few repairs and a void) not worth their time. We now find ourselves in a market where any property £950k plus is disproportionately more expensive due to the increase in stamp duty - a £million purchase would now set you back 73k in SDLT, prior 1/4/2016 this was 30k cheaper. As a result we've seen sales in this segment of the market dwindle some 10-15% depending on which tracker you look at. More people in that segment are therefore staying put; they are finding it difficult to sell. So the top end staying stagnant means that buyers that would have been (3) above now revert to either 2a or 4, skipping a trade up to a nice house in Old Town (but let's face it £1,000,000) can be paid quite easily outside of Old Town too these days). Let's go back to the bottom of the market. The lion's share of the stock that first time buyers are purchasing right now is stock being offloaded by aforementioned small-time investors, for whatever reason. An equilibrium of supply and demand? Perhaps not because prices are still rising, and pretty sharpish too! A year ago you could find a decent 1bed apartment in Clapham North/Brixton for £400-450k, now you're talking £450-500k for the same thing. For a "woe is Britain, the market is rubbish" market, that's a pretty sharp increase! So not so rubbish after all, FTBs galore chasing limited stock, prices going up. Simple Keynesian economics. I predict that, over time, small-time landlords that haven't sold up yet may do so when they realise their tax bill will increase substantially, further feeding the demand at the bottom of the ladder. However the problem is this: people at the (3) stage, so looking to buy a bigger property than they have, don't move as often, or as quickly. They take a lot more time to deliberate a move. There may be children involved, commutes to important jobs - they are older and therefore have more specific requirements. What they want may not be readily available on the market. So they wait. Patiently. After all they are not in a hurry to move, they are comfortable where they are, they are homeowners, their property is going up in value whilst they wait. Unlike the FTB they are not "wasting" money by paying a landlord's mortgage. So this piece of the pie is very slow. That will cause surge in demand a few years down the line ones all these new first time buyers want to trade up! I predict second properties will be in short supply, leading to a surge in prices. I would like to say the same for the bottom of the market, but I think the slow and phased taxation change will mean that landlords selling off will be gradual over time, drip feeding the supply to the pit of hungry first time buyers. There is no material change on the horizon that would incentivise the middle of the market to move. Instead the stamp duty higher up the ladder means that it is much better value to extend and stay put. I predict there will be a sudden surge in demand for these (middle of the market) homes in 2018-2020 when this surge of first time buyers decides they have outgrown their properties and want to trade up. If the stamp duty costs in the upper end of the market have not come down by then, we may well see a mass exodus of young families out of Clapham (and this theory can be applied to the rest of zone 2 also of course). Either those that have extended and want a change of scenery, or more truthful you may even get the first time buyers of today moving out because by 2020 I'd be surprised if you could buy a three bedroom terraced house in SW4 for under £1,000,000! The upper end of the market may well stay stagnant for a few years yet until earning power and deposits have caught up. Stamp duty cannot be financed, it needs to be paid like the deposit, it must be money in the bank. So what does that mean for investment in Clapham? I feel that there is reasoned argument to deduce that the demand for bigger properties will surge in the next few years. You may be wise now to look at bigger as opposed to smaller units, both for yield (higher rental income per £ spent on purchase) and in the long run, for capital appreciation. I can say from personal and professional experience that 3 bedroom apartments and houses have done well. Whether you buy for yield or capital appreciation both Victorian and old Local Authority units do remarkably well. There is however, more incentive than ever for first time buyers to get on the housing ladder, and with the government's continued attack on the property investor you are sure to see good capital appreciation from a desirable 1 bedroom apartment too, especially Victorian ones. As aforementioned you'd be pressed to find a good one now for under £450k on a desirable road near a tube - just be aware that due to lending tightening up (because of the tax changes) you will find that it will be nigh on impossible to leverage a period property over 70%LTV, normally you'll find you can't get beyond 60-65% due to these stress tests (the lender will simulate the interest rate at 5% and then insist the rent is 1.45 times the rental income). I have helped many investor landlords build profitable portfolios. If you are interested in learning more about growing your investments wisely then do get in touch. I offer a range of investment options to help you invest - either by helping you purchase property or by helping you fund sustainably profitable property developments. It can be as hands-off or hands-on as you like. Get in touch by emailing me: jeroen@claphampropertyblog.com or come down to a meet in Clapham (Clapham Property Meet) and learn more about getting the best returns in the London property market.